These perfectly timeless options are something you won’t ever have to worry about going out of style. We love the classic woven satin and added tassle to keep things fun! 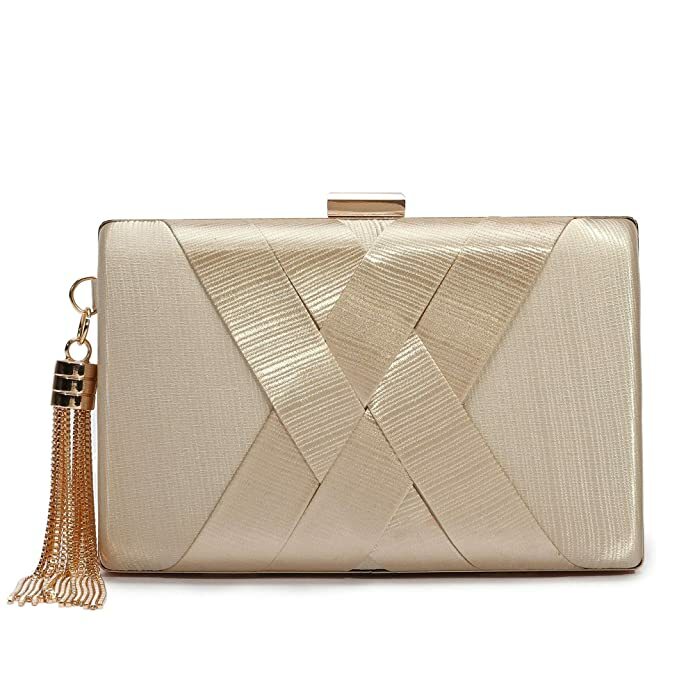 These amazing clutches give a vintage feel, without paying that vintage price tag. 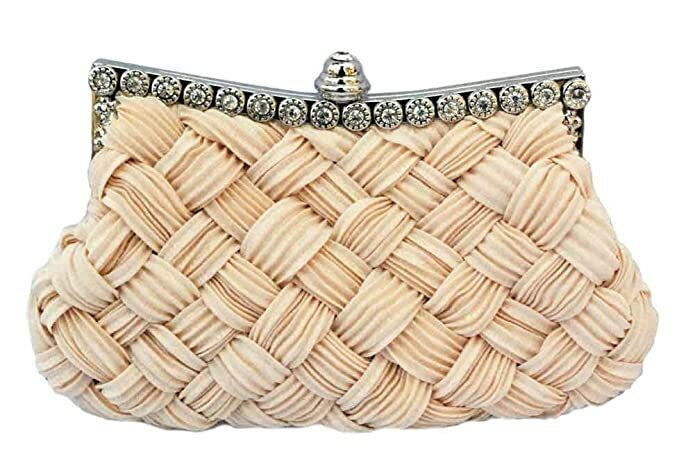 The gorgeous rhinestone detailing on all of these bags will pair perfectly with any boho bride without being too over the top. 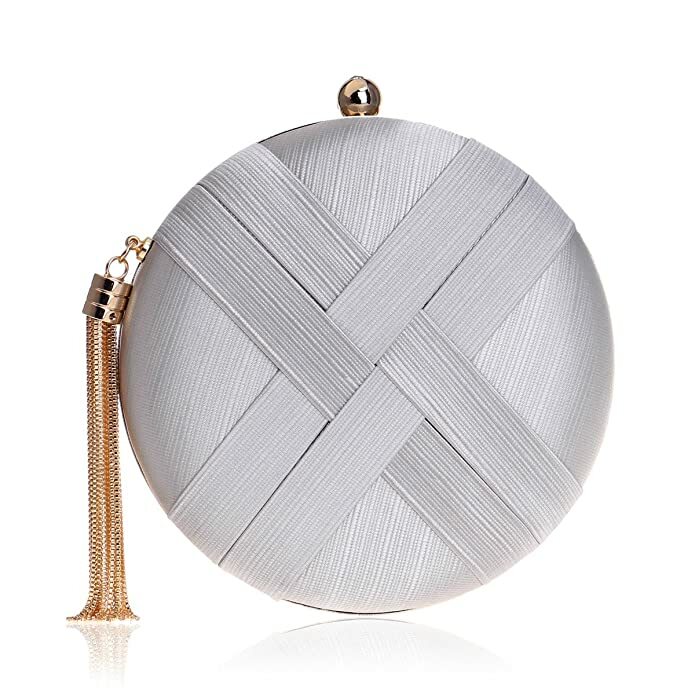 Who doesn’t love mixing metals? We sure do! 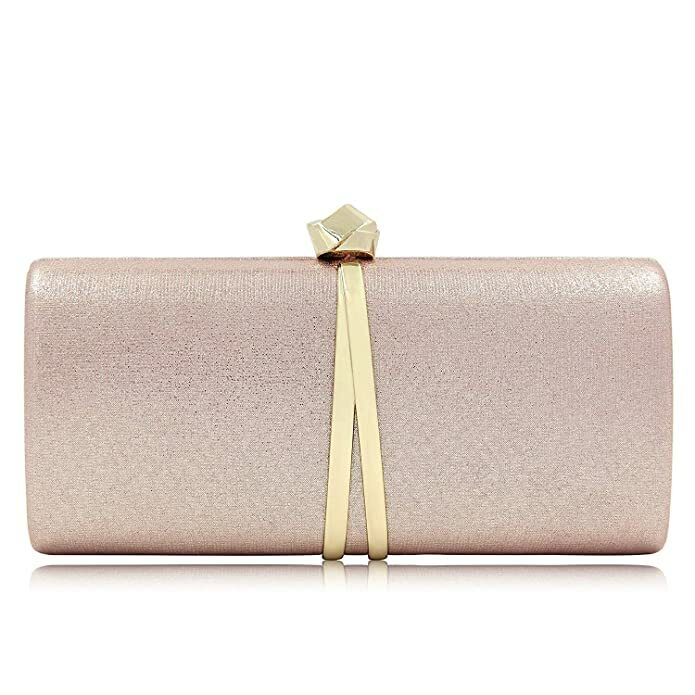 This rose gold clutch with yellow gold trim is neat and modern and we’re all about it. Mix your wedding jewelry metals to really pull this accessory into the whole outfit! 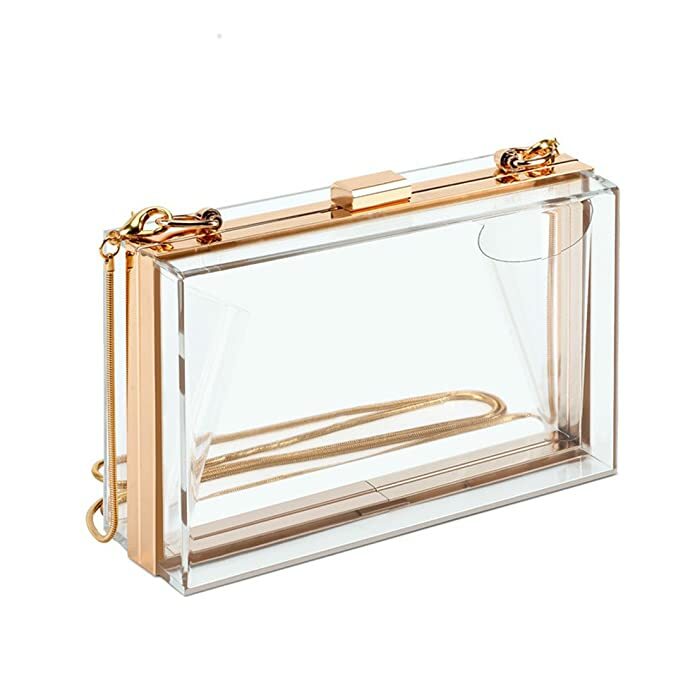 The transparent acrylic body on this baby is a perfect match for the simplistic, chic bride. 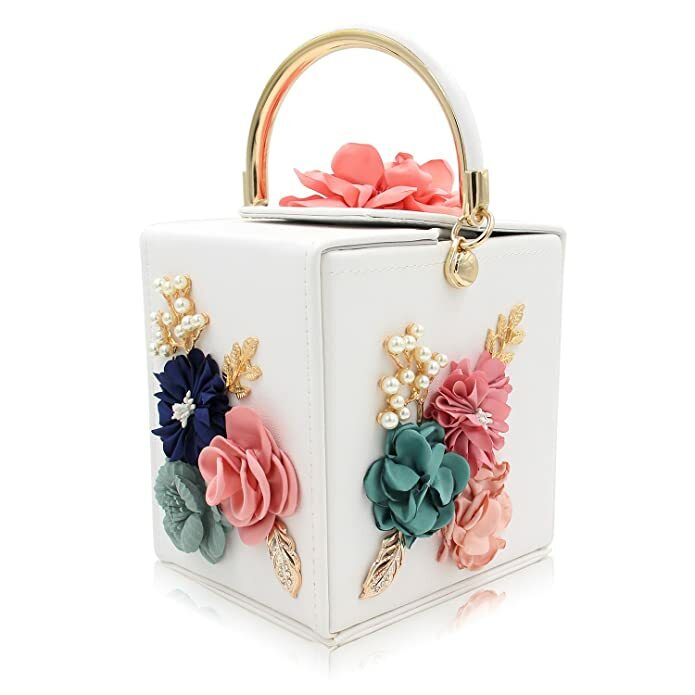 The gold trim with removable chain keeps the bag feeling classic and special. We also put this at the top of the list for Most Likely To Be Reused, after the wedding has come and gone! 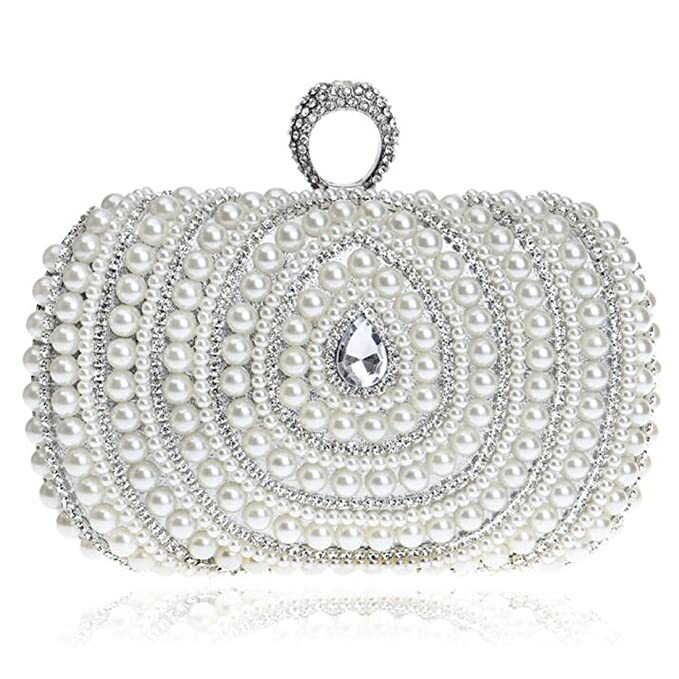 This bag SCREAMS Old Hollywood glam. 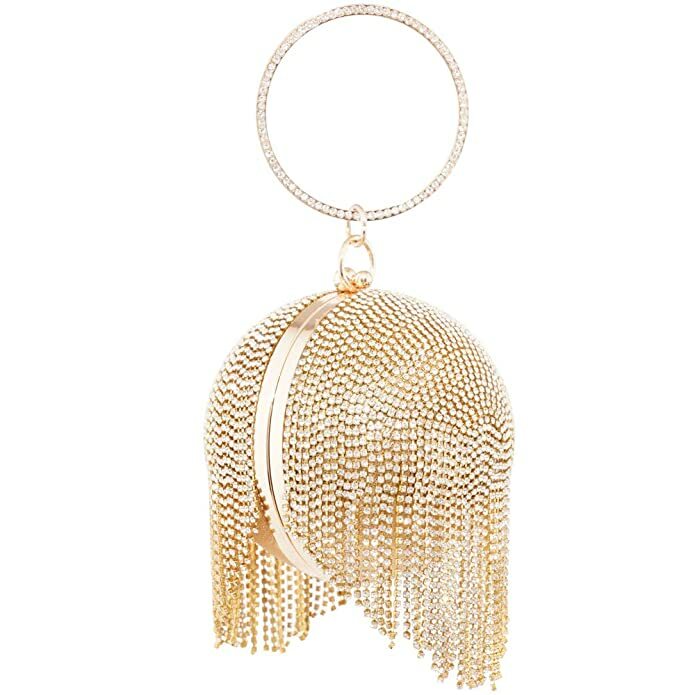 Pair it with your flirty, slinky gown and a red lip and we can bet everyone will be talking about your look long after the wedding! 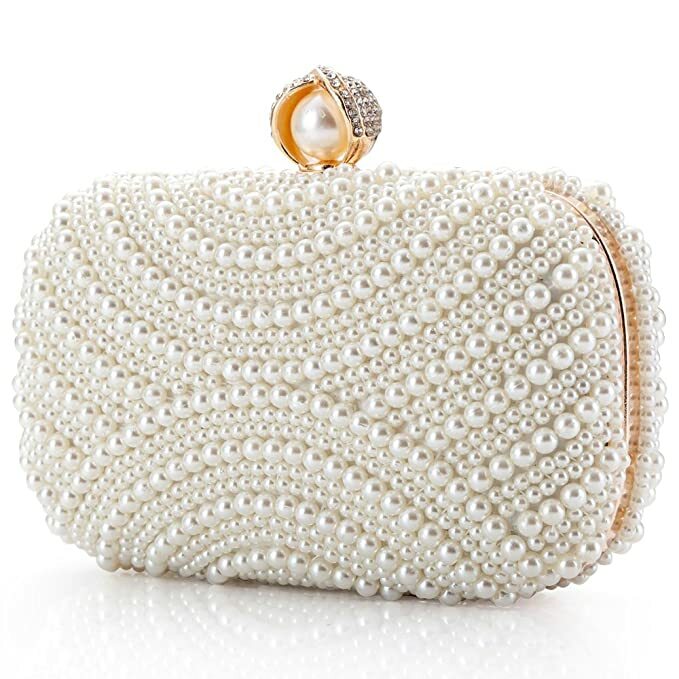 Honestly, we still can’t believe the price point on these bridal clutches! Not to mention their unique features that people will NEVER suspect you purchased from Amazon! Brb, we’re ordering all of them right now. Which one will you be adding to your cart? !